If you didn’t know… The Blogger’s Union requires that I point out things that seem strange and oddly stupid. The stuff that I would classify as weird or just plain asinine. It’s kind of my job… Okay? I found myself at the stoplight at the intersection of Holden and Patterson this afternoon. It was a bright, sunny, and warm day. 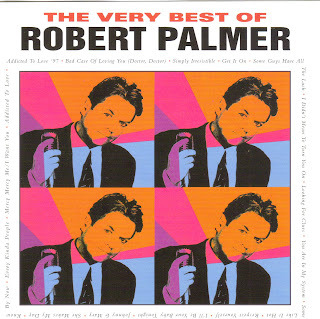 The kind of day where I would be out rolling around town with Roxy’s (my truck) windows down and blasting out today’s musical choice… Robert Palmer. Hey… Who can deny the force to crank it up with the Power Station’s take on the T. Rex classic, “Get It On (Bang A Gong)”? So anyways… I was sitting at the stoplight when I heard some weird kind of techno/Mariachi hybrid being blasted out of a nearby vehicle. Someone had the right idea, but the wrong musical choice for a day like today… I’m sorry, but rolled down windows and loud speakers are made for hard rock. Not some weird Frankie Goes To Tijuana stuff. I finally saw the source of the hybrid music when a red Dodge Neon pulled up next to me. All four windows were down… The driver, a Latino wearing a baseball cap backwards and sideways… Looking badass, I might add. There were black flame decals coming from the front wheel well… And a cool chrome screaming Skull n’ Bones applied to the gas cap door thingy. The vato had it going on… Until I took a closer look inside his car. First of all, there was a little red tree deodorizer hanging over the window on the right rear passenger side. I’m guessing that he has a frequent rider that smells up that side of the car… Possibly a small child lacking proper hygienic skills. Kids are like that, you know. But that wasn’t all… The strangest thing… Hanging from the rearview mirror was a keychain with Winnie The Pooh’s head. I guess he wasn’t as badass as I had previously thought. Unless he was sending a message to the smelly kid that rides in the back. --A few months ago… At that very same intersection… I saw a small truck go by me. It was a pest control truck with a logo emblazoned on the side… The name of the pest control company was “The Dead Pests Society”. Yes, I have the ability to amuse myself. I love that Tony Thompson on the drums! And check out Andy Taylor’s whammy bar ability! Those things totally make the song, don’t they? I TRULY HATE THAT ROBERT PALMER IS DEAD HE WAS TRULY A CLASSY GUY IN A TRASY KIND OF WAY .I REMEMBER THIS SONG WHEN IT CAME OUT BY THEM.I WAS ABOUT FIFTEEN OR SIXTEEN AND I PLAYED DRUMS AND I THOUGHT THAT IT WAS COOL HOW THE DRUMS SOUNDED SO CRISP AND AWESOME .IT STILL SOUNDS GREAT .AND I AGREE WINDOWS DOWN AND MUSIC LOUD IS STILL RESERVED FOR DAMN GOOD ROCK AND ROLL NOT ANYTHING ELSE. robert palmer(great choice by the way! )i cant believe he has passed on! i agree with ya if you going to have your windows down and blaring music it better be hard or classic rock!not this rap hip hop hibby jibby music! I've loved John Taylor since 1982 - not really for his musical abilities.